So four senior Russian diplomats have died in one month. Considering how many diplomats Russia has worldwide, this hardly a tsunami. They died in Ankara (murder), Athens (natural causes), New Delhi (disease) and New York (heart attack). There is no pattern, no modus operandi, no common link between these men and their deaths. During the Cold War the US and Soviets had an understanding that they would not attack each other’s personnel simply because any such attack would trigger an immediate retaliation which both sides wanted to avoid. There is absolutely nothing suggesting that this has changed. Killing diplomats is useless. They don’t really take decisions but their symbolic value is immense. Thus the benefit for murdering them is zero and the cost potentially a nuclear war. Russia is not the Palestinian Authority which had to ask for a French expertise to establish the real cause of death of Yassir Arafat. If anybody hard murdered Russian diplomats the Russians would inevitably find out who did it and why and the retaliation would be terrible (all, repeat, all the Takfiri Chechen leaders have by now been killed by the Russians, as have been the units who killed the Russian pilot in Syria as have been the key Takfiri leaders in Aleppo). Coincidences do happen and not everything is the result of a conspiracy. In this case, there is exactly zero evidence of a plot by anybody to murder Russian diplomats and spreading rumors about that is unhelpful and distracting from the important issues. UPDATE: okay, I am not coming across, so let me try something different: call two authorities to my rescue. First, Carl Sagan who used to say that “extraordinary claims require extraordinary evidence“. In this case, the claim is absolutely extraordinary: the murder of a senior diplomat is basically an act of war. As for the evidence, at this time of writing it is exactly ZERO. Nothing. Ziltch. Nihil. My next expert authority is William of Occam who wrote “Entia non sunt multiplicanda praeter necessitatem” which meaning can be roughly rendered as “the simplest explanation is the best”. For example, while it is definitely *possible* that Russian diplomats have been murdered, it is far more likely that they simply died. Of course, I cannot prove a negative. But at this point in time I repeat that this line of speculation is based on absolutely nothing, that there is no evidence at all while the the claim is truly extraordinary. To simple speculate on the basis of a statistically irrelevant sample and arrive far reaching hypotheses is simply not “analysis”. At best, this is idle gossip. Frankly, I am kind of shocked and even disappointed that so many seem to miss the total lack of evidentiary support, nevermind any “proof”, for this hypothesis. This is what I call instant karma. Do you recall how Obama and the democrats consolidated executive power under the auspice of the president of the United States? How the liberal press loved it, and many republicans warned them against doing such things and the democrats ignored the warnings; they thought that their reign of terror will go on for at thousand years or at the least until WW III. I even suspect that they were consolidating those powers tailored for Hilary, so they would be able to inflict trauma on humanity. This consolidation, however, didn’t go completely unnoticed by those republicans, independents, and democrats. As a result of this understanding, the consolidators lost their power, and those on whom those powers were inflicted, got it. On Friday, January 27, President Trump signed three latest executive orders. This piece of legislature is like putting in a toe to test the troubled waters of the deep state, namely the Council for Foreign Relations, the Atlantic Council and other privately owned think tanks, NGOs, and private military companies whose work was for foreign governments and nongovernmental entities, allegedly. Trump and the security forces backing him understand that an entire apparatus of the United States Government’s decision-making structures and processes has to be revised and reformed. Looks like Trump is bringing to life the Republican party political commissars that will manage and supervise the development and implementation of national policies. They also will report on the daily activities of the enormous governmental apparatus. I like the word “mandate” here. It has a certain reflection on the leather jacket-clad and revolvers-waving youths from small Polish towns, who came to the Winter Palace, murdered ten million civilians and destroyed the Empire. They called themselves deputies, also. Only, as the fate has it, Trump’s Policy Coordination Commissars will be wearing something like a republican party uniform: dark navy blazers with gold buttons, khaki slacks red-white-and blue ties, and tailored shirts with cuffed sleeves and initials embroidered on the breast pockets. What does this executive order do? 1) Places a 90-day moratorium on entry into the U.S. from the seven countries named in a 2015 law aimed at requiring stricter vetting for people entering from Iran or countries overrun by jihadist violence. 2) Suspends admission of refugees from any country for 120 days in order to conduct a review of the program. As you can see it’s a simple and lawful way to slow down the flow of immigrants for the new president, to sort out the security issues before new people will start working. It’s a far cry from the new meme “Trump banned all the Muslims,” that the liberals are touting. Another equally scandal-ridden presidential statement was made for International Holocaust Remembrance Day by not mentioning Jews as a special category of victims. “We are deeply grateful to those who risked their lives to save the innocent.” This is the closest thing to acknowledging of the heroism and enormous sacrifice of the Russian people in defeating the European fascism and liberating Europe from the rule of the National Socialist party of Germany. By the way, it took almost seventy years for the state of Israel to erect a memorial to the Soviet soldiers who had died liberating death camps. As the story goes, it was the president of Russia, Vladimir Putin, who gave money to Israel to build a Great Patriotic war heroes memorial. The reaction of the liberals globalists is the same as always. @JustinRaimondo @ggreenwald @mtracey War is peace, and Russia warning the US about the Boston bombers is Russia supporting terror. So far, for the American Politicians ignorance remains a bliss. Tsarnaev was born into an ethnically Chechen family in Kyrgyzstan, and emigrated from Kyrgyzstan. But who world ever ask to check facts from a former presidential candidate? As of the end of January, the corporate press is still firmly anti-president, and has positioned itself to be a 5th column’s tribune. I will explain my thesis later, but I can tell that serious research is underway to prove it. The facts that he brought up had been promptly ignored by the National political reporter at Politico. Needless to say, that one doesn’t need to pass the American Bar Association exams to know that this statement is not true. However, in the US the law has been suspended by the previous democratic administration, so it’s perfectly fine for the state’s Attorney generals to be ignorant in all things legal. (Source: Pennsylvania Office of Attorney General ) 1/29/2017 Attorney General Josh Shapiro led multi-state effort to oppose federal order. HARRISBURG – Seventeen Attorneys General issued a joint statement today that ‘condemns’ as ‘un-American’ the executive order signed by President Trump. The rapid-response, multi-state effort was lead in part by Pennsylvania Attorney General..
As we all know, Pennsylvania, a historically democratic state, voted for Trump, because it suddenly remembered that in 1776 Pennsylvania enacted its first state constitution in direct response to the Declaration of Independence and the instructions of the Second Continental Congress to the colonies to reject British rule. Once again, the people of Pennsylvania voted against Hillary Clinton and the globalists rule that she embodied. The Pennsylvania new attorney general, who took his office in January 2017, doesn’t have a mandate for his crusade against Donald Trump as a president of the US. During the presidential elections his office was involved in some dubious practices of inciting a riot and hiring people to pose as anti- Trump “protestors” for a pay. Let’s take a look at some Josh Shapiro activities around election time. 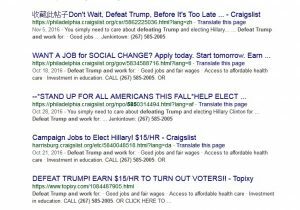 Look at the top listing titled “Don’t wait, Defeat Trump…” it was posted on Nov. 5th, 2016, the election took place on Nov. 8th. 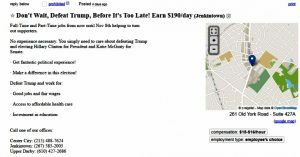 The Craigslist protesters for hire wanted note was still up after the election. 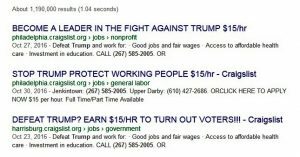 Shapiro’s political campaign office number is the phone number on the wanted anti-Trump protesters classified listings. Would be interested to hear a legal opinion on the practices about the protesters for hire. Getting paid to protest Trump is not a democracy, it’s a job. Do those protesters pay taxes? A total of 38,901 Muslim refugees entered the U.S. in fiscal year 2016, making up almost half (46%) of the nearly 85,000 refugees who entered the country in that period, according to a Pew Research Center analysis of data from the State Department’s Refugee Processing Center. That means the U.S. has admitted the highest number of Muslim refugees of any year since data on self-reported religious affiliations first became publicly available in 2002. A slightly lower share of 2016’s refugees were Christian (44%) than Muslim, the first time that has happened since fiscal 2006, when a large number of Somali refugees entered the U.S.
Just two countries – Syria (12,486) and Somalia (9,012) – were the source of more than half of fiscal 2016’s Muslim refugees. The rest are from Iraq (7,853), Burma (Myanmar) (3,145), Afghanistan (2,664) and other countries (3,741). December 15, a day of remembrance for journalists killed in the line of duty is observed across Russia in memory of journalists who died while simply doing their jobs. We remember how Russian journalists were made to be targets by NATO-backed forces in Ukraine. The hunt was declared not just on Russian journalists, but Ukrainians and Italians who were writing against the NATO occupation. A similar relentless hunt was conducted in 2011 and 2012 in Syria by the Free Syrian Army and Al-Nusra. In October 2012 they even kidnapped a Ukrainian journalist working for Anna-News. Anhar (Anna) Kochneva who, even though she grew up in Ukraine, spoke fluent Arabic thanks to her Palestinian mother. After spending five months in much publicized captivity, she managed to escape by simply walking out of the house she was kept in and walking several kilometers through the Syrian wilderness before meeting some good Samaritans who helped her to get to Syrian-government controlled territory. Her “escape” was remarkable, because around the same time terrorists from the Al-Nusra Front kidnapped and executed Syrian TV anchor Mohammed al-Saeed in August 2012. The terrorist sniper killed Maya Nasser, a 33-year-old Syrian national and an Iranian Press TV reporteron air on September 26, 2012. He was reporting on the bombings in the Syrian capital when two car bombs struck the Syrian Army’s command headquarters, setting one of the buildings on fire. On August 10, 2012, three television journalists and their driver were abducted while covering reporting from a Damascus suburb and have not been heard from since. 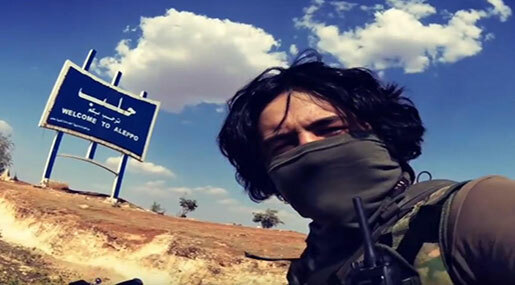 Also in August, Syrian terrorists attempted to seize a state-run broadcasting radio and TV complex in Aleppo, and planted an ISIS flag on top of the building. The attack on the Al-Ikhbaria TV station in the town of Drousha, south of Damascus, killed seven journalists and four security guards on June 27, 2012. One building in the complex was nearly demolished. Unlike all of those Syrian and Iranian journalists who were killed or disappeared without a trace, the “kidnappers” of the Anna-News journalist Kochneva were in contact with the government of Ukraine presumably discussing a ransom that was set to $50 million dollars, but reduced to $300,000 and was never paid. At the time, Russian emergency services official told the newspaper Izvestia about contingency plans for an evacuation that could accommodate as many as 30,000 Russian citizens — or 60,000 if it included citizens from all the former Soviet countries. Russian warships were sent as part of that plan. Kidnappers of Ukrainian Journalist Force Her to Confess Being a Spy, video Nov 29, 2012 with the English subtitles. Remember, back in 2011 and 2012 it was all about “Assad regime” “mass murdering” Syrians who wanted “democracy”? For us the most important detail of the Kochneva’s statement is that she claimed to work as a translator for the Russian and Syrian military intelligence, that she was present at their meetings, and that she was “participating in the armed clashes with “rebels.” She didn’t mention that she was a journalist for Anna-News. Her “statement,” made under the real or fake pressure, was taken literally by the Western media and Washington as proof that Russian military specialists were advising then Syrian government in 2011 and 2012 on how to fight with the “democratic uprising” and even participated in actual armed clashes. What makes the whole kidnapping plot not credible, in my opinion, is that even after her returned from captivity, Kochneva never rebuffed her statements. Let’s look at this from a simple logical standpoint. Why would Russian and Syrian armed forces for strictly confidential communication between themselves use a freelance journalist from a third country, Ukraine, who worked for the news outlet of Abkhazia headquartered in Tbilisi, Georgia? Was Kochneva a member of the Russian or Syrian military? No, she wasn’t. Was she a citizen of Russia or Syria? No, she wasn’t. Has Russia been lacking translators in the Arab language? No, Russia has excellent specialists in Middle Eastern languages, both civilians and military personnel. Most importantly, Russia didn’t have military servicemen on the ground in Syria fighting with “rebels” in 2011 and 2012. It was back then and it is now a sustained attempt by Western governments to tie the Russian military and its government to the death of the civilian population, which has been the result of the Western destabilization of Syria. According to Russia Today reports, the Syrian “rebels” were in contact with the Anhar (Anna) Kochneva’a ex-husband. Kochneva in her videos’ and her former husband both blamed the Ukrainian government and President Yanukovich for doing nothing to deliver her from captivity. In accord with the husband and Kocheva, even “rebels” were complaining that “Ukrainian authorities were doing nothing. ” Latter, after her alleged “escape,” the Ukraine Foreign ministry confirmed that she was free. In 2014, echoing Kocheva’s claims, Anna News published unsubstantiated reports about presence in Donbass of some mysterious private military company named “Wagner.” I have seen screenshots of one of the Anna News founders either Anatoly Nesmiyan, known as a blogger El Murid, or his wife, or Marat Musin, or their mutual friend Lev Vershinin, hiding in Spain, admitting how they made the “PMC Wagner” up using the last name of their rabbi. It all started on August 3rd, 2012 with the resolution of the UN General Assembly’s demands All in Syria ‘Immediately and Visibly’ Commit to Ending Violence that Secretary-General Says Is Ripping Country Apart. 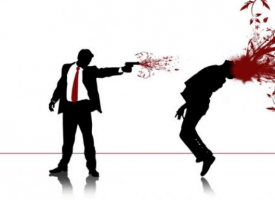 It’s seemed very logical for the UN and “the international community” that since Al-Nusra and Free Syrian Army and other forces of democracy were murdering journalists, postal workers, government officials, and high ranking military officers, that the Syrian government had to immediately and “rapidly” to step down and to give the power over the country to Al-Nusra and Free Syrian Army. Since they killed so many Syrians it was only logical to give them power over the entire nation. At least that’s what happened in the former Yugoslavia, and in Ukraine. But later about this. I just want to illustrate you how the same people and organizations who were whipping up Syria into bloody hell did the same to Ukraine. The same people, the same faces, the same bloody mess. And how they try doing same job in Russia a year before the presidential elections. “Local media spreads messages about deployment to Syria some “soldiers of the battalions “Vostok” and “Zapad” and “Chechen special forces”. I state with authority that there are no battalions “East” and “West” in the Chechen Republic . In Chechnya, as in any other region of Russia, military units are deployed by the Russian Defense Ministry. They are serving the citizens of Russia from Chechnya and all other subjects of the Russian Federation. It is well known that the Russian troops don’t take parts in ground operations in Syria. We posted a video and the Saker’s analysis of this. Why is it so important for the Western governments who are currently at war on Russia to create a fake secret Russian or Chechen battalions fighting for Assad? Because, as they threatened many times, they are trying to initiate a tribunal to accuse Russia in war crimes and genocide in Ukraine and Syria. Aug 10, 2016 – Video: Exclusive Report On Russia’s Secret Mercenaries. By John Sparks, Moscow Correspondent. A Russian actor claims the recent Sky News documentary about undercover Russian mercenaries in Syria was staged. RT spoke with a man who claims that he was hired as an actor to impersonate one of the fighters of the secret private military company “Wagner” (Vagner) for the British news. One of the key pieces of evidence provided was an interview conducted by Sky News’ Moscow correspondent, John Sparks, who spoke to two males who allegedly comprised part of a secret Russian force, called “Wagner” operating in Syria. They even named a Russian Military officer Colonel Utkin, as the alleged owner of the mighty defense company. Frankly, they could name absolutely any military officer whose image they found on the net. The alleged existence of the private military company “Wagner” was confirmed to Sky News by someone named Pavel Felgenhauer, whom they call a “Moscow based military analyst.” That Mr. Felgenhauer had no credibility was discussed in December 2008 correspondence between then Ambassador of the US to Russia John R. Beyrle and the US Foreign Service officer and the future Ambassador to Ukraine and Russia, John Tefft, and published by WikiLeaks. The TV channel NTV and Russia 24 also conducted their own investigations. They pointed out that the medals shown in the SkyNews video didn’t look like the real medal For Distinguish in Battle. The question was also about how alleged Russian troops were wearing some sort of pinkish outfits with the St. George ribbons. These ribbons could be theoretically worn on the May 9th Victory Day, but the St. George ribbons don’t constitute a part of the Russian military uniform. Further details were reveled in an interview with Alexander Agapov, a Moscow actor, who played a role of the “Wagner fighter” lives in Moscow. When John Sparks contacted him and offered a gig, Agapov agreed, but made his own recordings of their interactions and turned this material to the Russian media sources. Everyone was quietly waiting for SkyNews to come out with this “blockbuster revelations” to immediately publish the rebuttal. Sky News has removed the video with an actor, but left the article on their web site. “Under Russian law, it is illegal to work as a private military contractor in another country,” which is a half-truth. The private military companies are illegal in Russia. “However, Russian citizens have participated in wars across the former Soviet Union throughout the 25 years since it broke up in 1991.” While this could be true, it doesn’t prove that those people were employed by some private military companies. This Reuters’ article went largely unnoticed, but it served the purpose of the general plan to drip anti-Russia propaganda on schedule. Sure enough, a month later on December 14th all the Washington backed media outlets in Russia came out with the same announcement that Colonel Dmitry Utkin attended the Kremlin banquet and was awarded the Order of Courage for his military service. They also claimed that Presidential Press Secretary Dmitry Peskov confirmed these information. However, all Peskov said that that the banquet was for people awarded by Hero of Russia and the Order of Courage for military service, and that there was a person named Dmitry Utkin, a retired military officer, who was invited from Novgorod region. At no point Peskov said that the liberal media claims he said. The situation gets even more interesting, since Rosbalt, one of the fake news generators, declared that “Wagner, a.k.a. the commander of the private military company Wagner Dmitry Utkin was killed in Donetsk” in January 2016. They even wrote that the death of Wagner caused huge relief and celebration among the Donetsk independence fighters. So, sometimes this virtual ‘Wagner” is a person, and sometimes, it’s a powerful military company that terrorizes Donbass and fights all the battles for the Syrians, who don’t do anything, but wait while this virtual ‘Wagner” fighting for them. This is a brief illustration of how the Western information war against Russia is being fought: they make up characters, and those fake characters live and die, and are being resurrected at random. 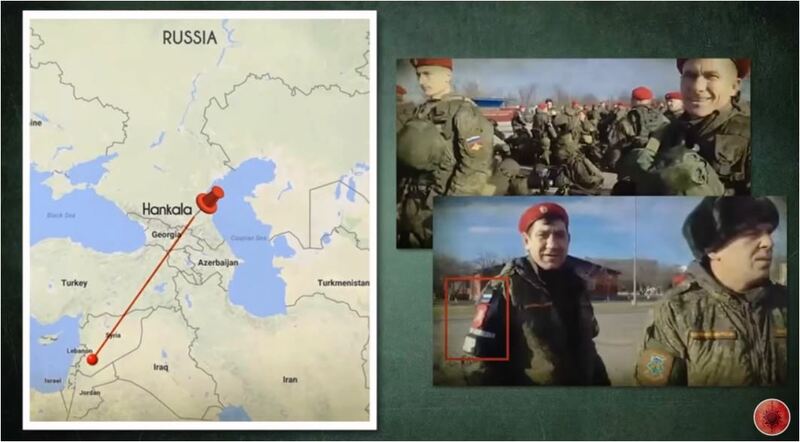 (SouthFront) ~ Russia is deploying the military police from its Republic of Chechnya to Syria according to an amateur video appeared in the Social Media on December 7. The video allegedly shows preparations of over 100 Chechen military police members before their dispatch to Syria from the military base in Hankala, a settlement near the Chechen Republic’s capital – Grozny. In total, Syrian government forces liberated from militants 50 neighborhoods of eastern Aleppo, the Russian Reconciliation Center in Syria announced in a statement late on Wednesday. Last evening, the Syrian army and its allies further peneterated Jaish al-Fatah defenses south of the Aleppo Citadel and liberated the neighborhoods of Bab al-Nayrab, Salheen, al-Qasileh and the al-Madi station. Meanwhile, the so-called “Aleppo rebels” asked a 5-day ceasefire for as they said “the medical and civilian evacuation from the eastern part of the city of Aleppo”. In other words they want the time to receive supplies and reinforcements. Because the only reason why civilians cannot leave the militant-held area of Aleppo via established corridors is that the so-called “rebels” prevent them from this. There is a little chance that the situation could be changed during the ceasefire. The Syrian army and the National Defense Forces have liberated the village of Hawsh Ash Shalaq and cut off the road between al-Shifuniyah and Autaya in the Eastern Ghouta region of Rif Damascus province. Now, the army and the NDF are developing their advance iin the direction of Hawsh Dawahra and the nearby military base. If government forces succeed in this, they will be able to use the Duma-Hashabiyah road to operate in the region and to pose multipletactical threats to remaining Jaish al-Islam forces. (SouthFront) ~ Jaish al-Fatah and Fatah Halab militant coalitions’ defenses are collapsing in the Syrian city of Aleppo under the pressure of pro-government forces. Late on December 6 and early on December 7, the Syrian army, the National Defense Forces (NDF) and Liwa al-Quds set control over the areas east and north of the Aleppo Citadel and seized the almost whole neighborhood of Old Aleppo, including the Umayyad Mosque. The advance took place amid a panic in the rebels’ ranks and reports that now the so-called “moderate” opposition is ready to discuss a deal on withdrawal from the city. A big group of Fatah Halab (a local coalition of militant groups in Aleppo city) fighters even surrendered to government forces near the Aleppo Citadel. The army and its allies are developing the advance against militants. US Secretary of State John Kerry announced on Tuesday that he expects to meet with Russian Foreign Minister Lavrov later this week for further talks on a proposal for the rebels’ departure and is “not aware of any specific refusal” to follow the initially discussed agreement. Earlier on Tuesday Lavrov said that the US withdrew its initial proposal on militants withdrawal and wants to suggest new terms and conditions that the Syrian-Russian-Iranian alliance will have to follow in Aleppo. This US move faced a hardline reaction in Moscow and the Russian minister (Sergey Lavrov) announced that all militants refusing to leave Aleppo will be eliminated. It looks Kerry is busy as a bee in his attempt to save al-Qaeda linked militant factions in the city. However, he has little chances to achieve this goal. When Aleppo is liberated, over 25,000 pro-government fighters will be free to participate in further operations against militants across the country. The most likely direction of the next major advance of government forces is the province of Idlib. The storm of al-Bab is less likely because this could lead to a significant escalation with Turkey. Last week, the US House passed a defense bill that included language authorizing supplies of anti-aircraft missiles to rebel groups fighting in Syria, The Washington Post reported Tuesday. On Friday, the bill passed in the House 375 to 34 and could be voted in the Senate within the week. If the bill succeed, it would be a green light for supplies of MANPADs to so-called “opposition factions” in Syria. 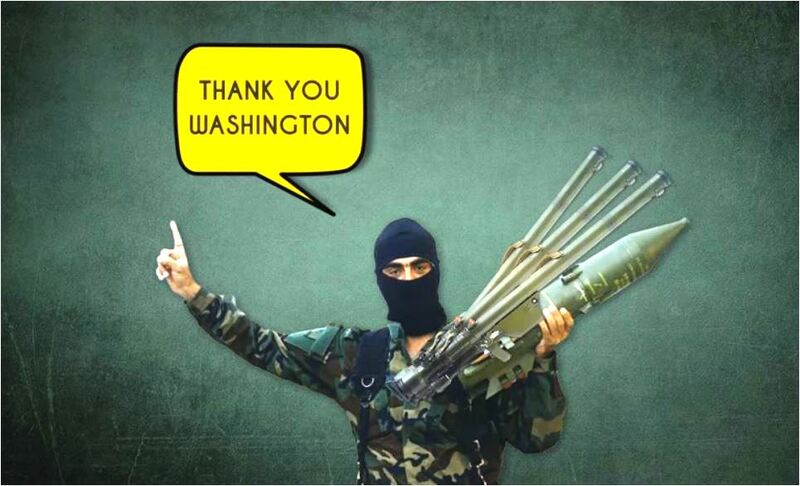 There are no doubts that as result missiles will be received by Jabhat al-Nusra and other al-Qaeda groups, as a major part of the all previous weapon delivers to rebels. This will pose a major threat to the aviation in the region.